Hey Girl...join me on April 16 - 19th in Heber, Utah for a wonderful weekend of learning, hands-on instruction & experience with power tools, painting and making some cool projects! We'll enjoy a Saturday of shopping, dining and exploring the local Heber, Midway and Park City areas! Brandon of Two Pitts of a Pear is an amazing teacher with years of experience in carpentry work, house flipping and creating art pieces from junk! He's straight up adorable and just a super nice guy! Brandon will be teaching us how to use power tools and how to build this awesome frame! You'll be adding the trim and building the frame from scratch! If you learn how to build a frame, you'll learn how to cut crown moldings, trim your mirrors out and all the projects that require a 90 degree angle cut. 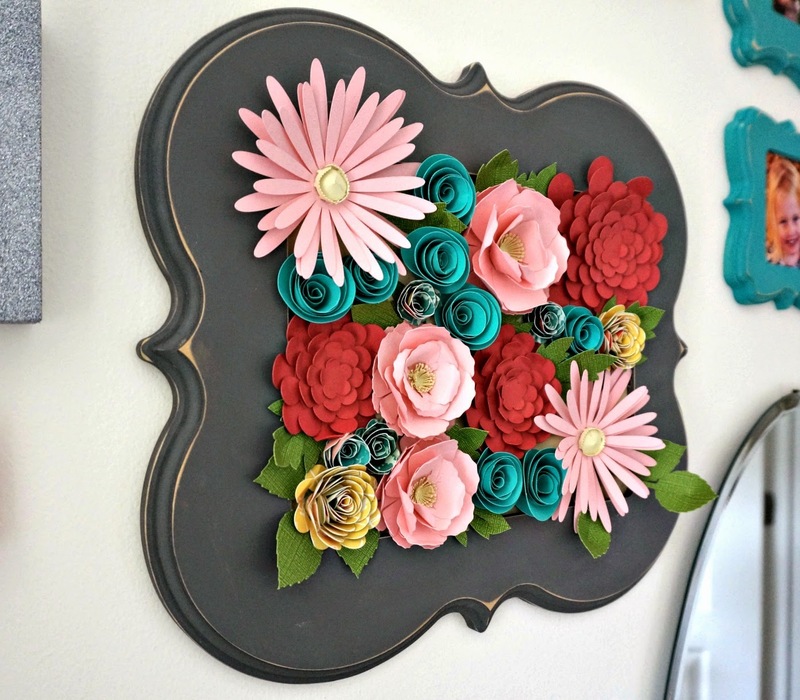 We'll be designing this beautiful wall art using the Cricut machine, paper flowers & will be shown how the scroll saw works to make cuts like these! Have you planned a place where this will hang on your wall yet? Home Depot is a great sponsor for women and power tools! They've donated a few surprises for every one of my guests! Great food, Saturday shopping, exploring, dining and hitting local shops will make for a fun weekend getaway! Only 3 spots left, get signed up now! 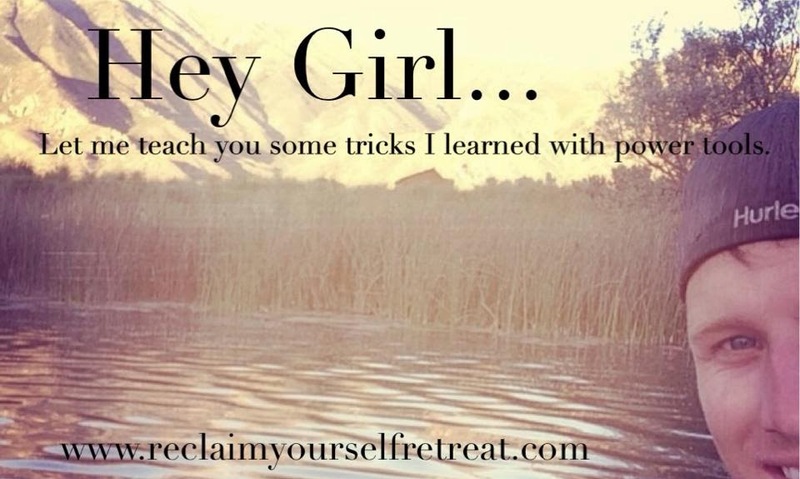 Click on the "upcoming retreats" button in the upper left of my blog and your payment options are there. I cannot tell you how much I'm looking forward to meeting all of you!